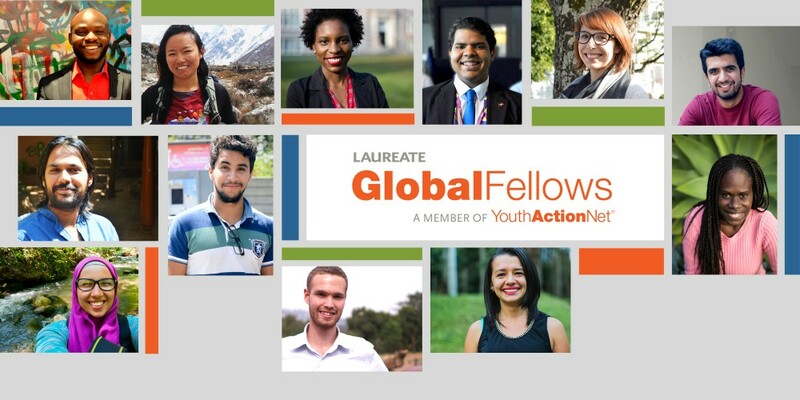 Foram anunciados os nomes dos 20 jovens empreendedores selecionados como Laureate Global Fellows 2016 nessa quinta-feira dia 26 de julho. Entre os selecionados está a Diretora de Comunicação da Aliança Empreendedora Luísa Bonin, que também é co-fundadora e coordenadora do TamoJunto.org.br, site de apoio a microempreendedores brasileiros, iniciativa da Aliança Empreendedora. O Tamo Junto hoje possui mais de 4.500 microempreendedores cadastrados acessando as video aulas, artigos, ferramentas para download, além do diagnóstico empreendedor. Ainda esse ano, serão lançadas atualizações na plataforma, além de mais formatos de conteúdo para o microempreendedor brasileiro. Juntos, os 20 jovens selecionados em 2016 impactam mais de 290 mil vidas em 18 países. E com o suporte da rede Internacional de Universidades Laureate, os selecionados desse ano vão iniciar a sua jornada como “Fellows” durante uma semana de treinamento e imersão para o desenvolvimento de liderança na Costa Rica em outubro, seguido de 1 ano de acesso a oportunidades de coaching, advocacy e acesso a rede de contatos de quase 1400 fellows de 90 países. Meet the 2016 Laureate Global Fellows—20 changemakers under 30 years of age who are developing creative, locally-driven solutions to some of the world’s most vexing challenges. In 2015 alone, initiatives founded by these young leaders impacted more than 290,000 lives in 18 countries. Through the support of Laureate International Universities, this year’s fellows will kick off their fellowship journeys through a week-long transformational leadership retreat, followed by a year of coaching, advocacy, and networking opportunities. As we celebrate 16 years of support to young social innovators, YouthActionNet welcomes the newest class of Laureate Global Fellows into our growing community of nearly 1,400 changemakers worldwide who benefit from life-long leadership support. Sharon co-founded Uwazi Technology Consulting to strengthen the impact of social change organizations through technology solutions that improve financial and operational systems, track outcomes, and increase efficiencies, with sales revenues among Uwazi’s social enterprise clients having increased by 27 percent. Michelle founded the Sani Foundation to facilitate the full inclusion of individuals with intellectual disabilities into Zambian society, beginning with training youth and young adults for jobs in the open labor market. A documentary photographer, Rehab launched theCatherine Exists Project to raise awareness of and support for the people of St. Catherine’s Protectorate in South Sinai, with the goal of promoting intercultural understanding and dialogue. Through Projet Jeune Leader, Maia works to reduce teen pregnancy, school dropouts, and risky sexual behavior among young adolescents through a comprehensive, school-based, sexual health and leadership education program, now operating in 7 middle schools and reaching over 8,500 adolescents. Salaheddine launched Msroufy, a social enterprise, to help low-income university students connect to part-time and freelance jobs so they can stay in school. In the last year, Msroufy engaged more than 20 employers as partners, who offered part-time jobs to 300 students. Through Fatuma’s Voice, Chris encourages Kenyan youth to express themselves through art, poetry, and music, while creating bottom-up solutions to social issues. In 2015, the initiative reached over 1,860 young artists and 450,000 online and in-person audience members. Through the Sophie Muwanika Institute of Art for Change, Rashida uses theater and storytelling to help secondary school students experiencing depression, low self-esteem, and/or trauma to heal emotionally, while educating audiences about their needs. Through I Learn, Saddam creates knowledge spaces for vulnerable women, girls, boys, and men to develop themselves through academic and psychosocial support, legal education, cultural activities, and life skills training. The initiative’s learning spaces in 12 communities have served 700+ participants. Through the Mountain Resiliency Project, Tsechu works with isolated communities negatively impacted by climate change to ensure greater food and water security through the building and maintenance of greenhouses and orchards, with over 700 students and women trained in 2015 alone. Aditya co-founded People for Parity to engage youth in taking ownership on gender issues and preventing gender-based violence (GBV) and discrimination in India. To date, PFP has delivered gender education to over 6,000 students, with 150 youth trained to lead GBV prevention efforts. Jacqueline co-founded Equal Playing Field to end violence against women and girls and promote gender equality through a prevention-based, sport-for-development model targeting adolescents and actively engaging men and boys. Since 2014, over 1,100 students in 4 schools have participated. Through Hireup, an online platform, Jordan is revolutionizing the way that people with disabilities in Australia choose, hire, and manage their support workers. In 2015, the Hireup platform attracted more than 1,000 individuals with disabilities and support workers. As Co-founder of Rabtt, Imran trains university students to serve as volunteer teachers and mentors of high school students, who develop critical and creative thinking skills, self-confidence, and empathy. To date, Rabtt has reached 1,800 high school students and 1,200 university students, teachers, and corporate professionals. Through UniTED, Leo seeks to unite and strengthen student action globally by facilitating consulting relationships between university students in developed nations and their peers in low-income countries with an initial focus on Uganda, where 85 youth-led projects are benefiting. Luisa co-founded Tamo Junto (We Are Together) as Brazil’s first online platform providing low-income micro-entrepreneurs with the knowledge and opportunities to develop their businesses. An initiative of Aliança Empreendedora, Tamo Junto has over 4,500 registered users with 350 companies and NGOs offering their support. Maria Fe co-founded Arte Manifesto, the first social network for emerging artists in Latin America, to elevate the role of artists and provide them with a means of marketing and selling their work. To date, 2,000 artists have participated, with 20,000 people viewing their creations. Through Semillas: Arquitectura en Comunidad (Seeds: Community Architecture), Daniela engages citizens, businesses, NGOs, and the public sector in a participatory process to rehabilitate public spaces and help communities reach their goals. To date, Semillas has worked with five urban and two rural communities. Irene created Life Out of Plastic (L.O.O.P. ), a social enterprise, to reduce the impact of plastic waste on marine ecosystems. To date, L.O.O.P. has removed over 95 tons of waste, upcycled 1.3 million plastic bottles, and engaged 30,000 people through campaigns and clean up efforts. Rainier co-founded AIME to predict and help prevent disease outbreaks using a combination of artificial intelligence, epidemiology, and public health expertise. With 88 percent accuracy, AIME supplies vital information to public health officials, saving lives and money. To address the dual problems of food waste and food insecurity in the U.S., Robert co-founded Rescuing Leftover Cuisine (RLC). Now operating in 12 cities, RLC volunteers pick up uneaten food from over 100 businesses, delivering it to 300 food shelters.